The Québec regulatory agency that oversees Canadian financial markets has enacted new policies that mandate virtual currency ATM operators and virtual currency trading platforms obtain a license. The Autorité des marchés financiers (AMF) has amended its Policy Statement to the Money-Services Business Act to apply to select bitcoin businesses operating in the jurisdiction. The AMF stressed in its formal announcement, however, the licensure does not indicate that it is regulating the bitcoin industry. The statement seems to have caught members of the local bitcoin community off guard given that Canada has been working toward regulating bitcoin on the federal level, a process that has been spearheaded through an 18-month Senate study due to be released this year. Kyle Kemper, vice president of Calgary-based bitcoin exchange CAVIRTEX, indicated that it would need to more closely examine the ruling to determine its actions, but suggested that the move sends a potentially troubling signal for local businesses. This concern was echoed by Christine Duhaime, a Canada-based lawyer and executive director at the non-profit Digital Finance Institute, who indicated that the wording of the latest update is likely to leave many in the community seeking additional clarity. Kemper went on to suggest that the law represents a potentially troubling change in the broader regulatory landscape in Canada, due to the ongoing discussion on a federal level that he suggested could end up advocating for a stay on bitcoin regulation. “What I’m not looking forward to – and maybe this is a signal with Quebec – is that every province comes out with its own licensing, because then we’d be in a situation that’s going in the US, where it creates unnecessary barriers,” Kemper added. The decision by Québec notably follows a decision by the Canadian Parliament to amend its Proceeds of Crime (Money Laundering) and Terrorist Financing Act of 2000 to apply to the digital currency industry. To date, the government has not made progress on creating regulation so that the law could be enforced, choosing instead to wait for the Senate’s formal guidance. Duhaime went on to describe the action as one that compared to proposed regulation in New York, as Québec would now have similar oversight over the industry. For example, she noted one section that indicates bitcoin ATM owners will now have more onerous reporting requirements. 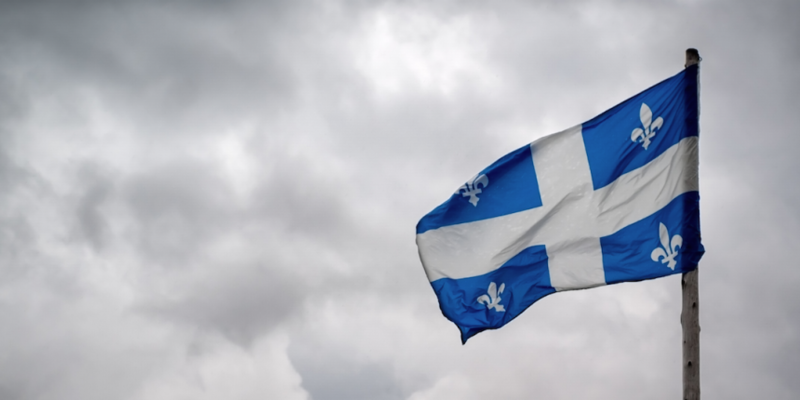 Under the bill, Sûreté du Québec, the state police force, would need to investigate and clear covered bitcoin entities and their officers to receive a license. “An indication as to previous convictions or good moral character is an important factor that could influence whether a licence for a money-services business is issued, suspended or revoked,” the law reads. ATM owners also now need to verify the identity of customers and their “co-contracting parties”, keeping records of all transactions for six years. Information that will need to be logged includes customer information and the source of liquidity. Elsewhere, affected companies will need to track income statements, accounting registers, records of officers, directors and employees and any other records prescribed by the act. While Duhaime categorized some parts of the directive as potentially problematic, the provisions for ATM operators, she said, were more clear. Haseeb Awan, co-founder of bitcoin ATM manufacturer BitAccess, one of the more active companies in Canada, echoed the tone of surprise, stating that he expected the Financial Transactions and Reports Analysis Centre of Canada (FINTRAC) to issue guidance before any one province takes action. While noting that Québec often passes laws that contrast those in the country at large, he expressed his belief that the company can adapt to this directive. “We provide know-your-customer (KYC) and anti-money laundering (AML) tools to our operators to comply with local compliance,” Awan said, adding that his company would strive to help operators with the transition. The company has five BitAccess machines in operation in Quebec, all run by individual operators. Mitchell Callahan, the developer behind Canada-focused point-of-sale system PocketPOS, further expressed his belief that local ATM owners “were anticipating” such guidance. In addition to the new reporting requirements, the AMF also warned the public about the more negative aspects associated with bitcoin use, citing its inability to protect consumers from liquidity or volatility risks. “Quebeckers should therefore be careful with virtual currency transactions as they may incur losses that are not covered under current compensation or deposit insurance plans,” the formal guidance reads. The AMF went on to indicate that bitcoin’s “low transaction costs” may also encourage its use in Ponzi schemes and other illicit schemes, echoing concerns raised by global regulators.